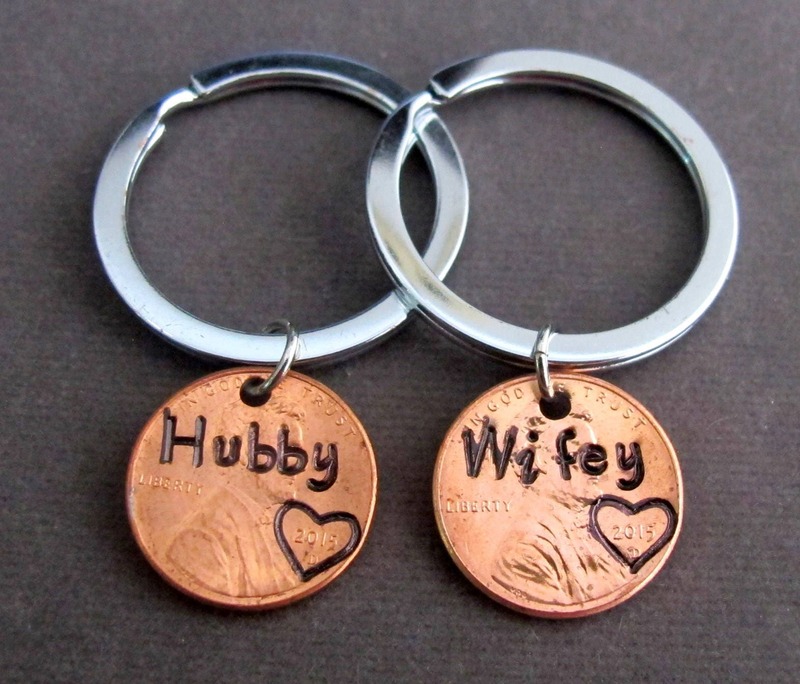 This is a set of 2 keychains- Hubby Wifey, Couples gift, Anniversary Gift, Husband Gift, Wife Gift, Couples Hand Stamped Penny Keychain, Lucky Penny Keychain, Wedding Gift Key Chain, Bride Gift, Groom Gift. Perfect gift for you and your significant other, for a special occasion such as your Marriage. Please Choose the year to be stamped on the Penny from the drop down. Thank you!